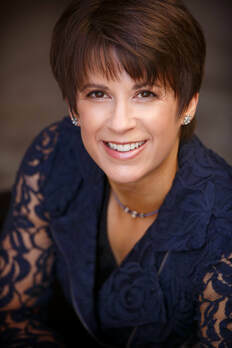 I had the privilege of reading author Colleen M. Story's previous book, Overwhelmed Writer Rescue (review - HERE) and was impressed. 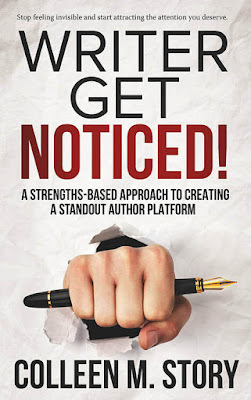 So I couldn't wait to get my hand on her latest title - Writer Get Noticed! - offering guidance for writers/authors trying to navigate the ever shifting sands of the current publishing landscape and dealing with the frustration of achieving what they envisioned. Both books offer exercises throughout to help you work through the ideas presented in each chapter. 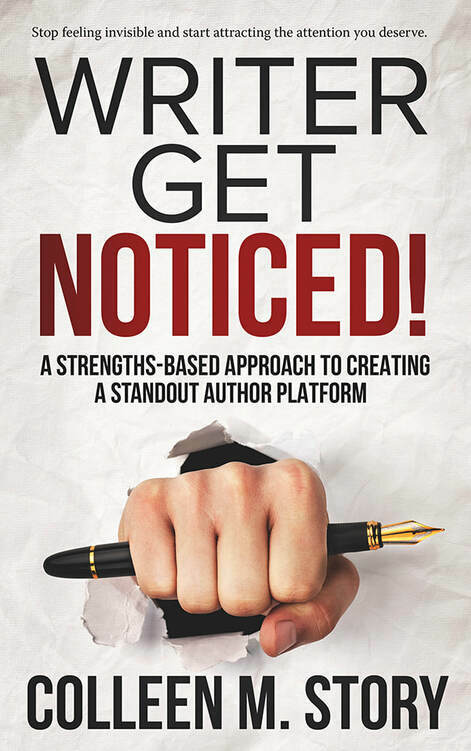 But in Writer Get Noticed! the author takes you on a much deeper inward journey to discover your strengths, understand your decision making process, set goals, learn how to evaluate risk and more. I have to admit, I didn't do the exercises the first time through. I decided to read the book cover to cover to get a feel for what the author was offering as a whole. Now it's time to go back to the beginning with my notebook and pencil in hand, to savour each chapter slowly and then thoughtfully work through the exercises. I don't want to rush the process, just let it unfold one idea at a time. In fact, I think it's time to go through Overwhelmed Writer Rescue again as well. It could prove a powerful combination. This and her previous book were game changers for me. I am gifting copies to several students in my family as I believe her books help in any area, not just for writers. So agree. I am on an authors panel this month and will be taking copies with me for those interested to look at. The 2 really go together.